Light is the elixir of life in photography. This not only applies to the light you need when shooting a picture, but in addition to the lighting conditions when viewing the results. Light is needed to illminate and to transilluminate depending on whether the subject is reflective or transparent. 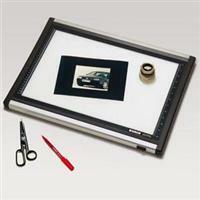 A light box is the appropriate tool to transiluminate a transparent original. 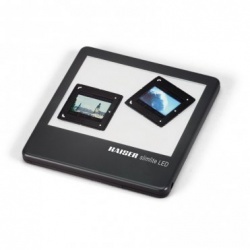 A compact and handy, super-flat daylight light box.